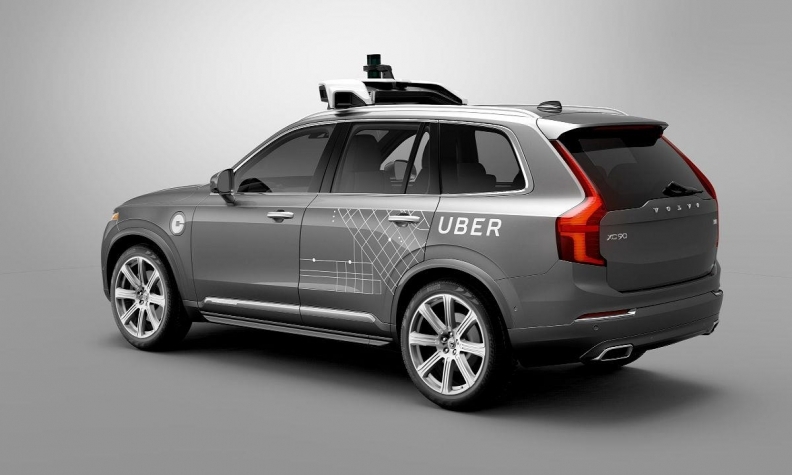 Volvo formed a partnership with Uber that will put self-driving XC90s on the road in the U.S.
STOCKHOLM -- Volvo said today it will recruit about 400 new engineers over the coming year to bolster development efforts in safety technology, autonomous driving and electrification. The recruitment drive, which Volvo said was one of its largest ever, comes as the automaker is enjoying brisk sales and is looking to establish itself in a premium car market dominated by larger German rivals. Volvo's global sales grew 9.3 percent in July, marking the 14th straight month of year-on-year growth for the automaker. Deliveries have been boosted by strong demand for the new XC90 SUV. Most of the engineers joining the company will be based at its research and development center in Gothenburg, in western Sweden, Volvo said. "With the recruitment drive, Volvo further strengthens the automotive cluster in Western Sweden and establishes it as an emerging hub for automotive software engineering," Volvo said. Volvo is ramping up technologies at the cutting edge of development in the auto industry such as autonomous vehicles and this month signed a partnership with ride-sharing company Uber in the field of autonomous cars. Ford Motor sold Volvo to China's Zhejiang Geely Holding Group in 2010.